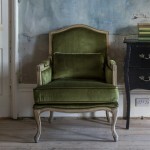 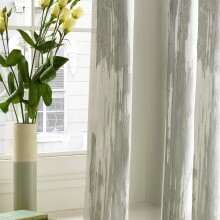 This is one of my favourite velvets from KAI as it’s texture reminds me of delicate feathers. 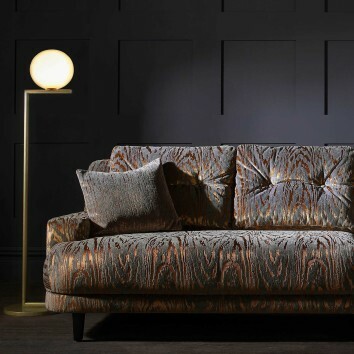 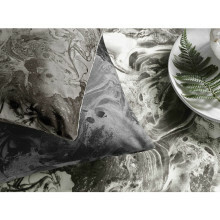 This stunning printed and embossed velvet incorporates the popular Letino velvet ground with a fine linear design, to create a fur effect full of moment and texture. 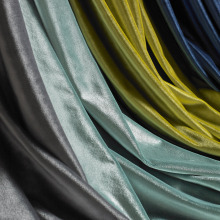 With its soft handle and beautiful drape, this fabric is not only an elegant option for curtains and accessories, but is also extremely durable and suitable for upholstery. 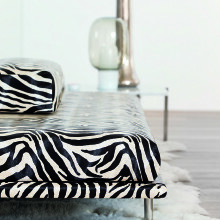 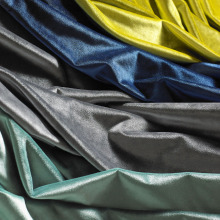 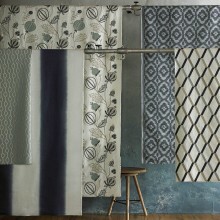 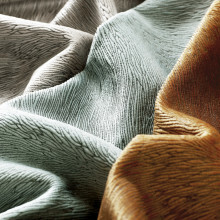 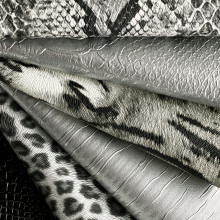 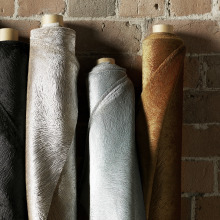 Available in 25 sumptuous shades, Allegra will add tactile glamour to any interior and costs just €58.00 per metre. 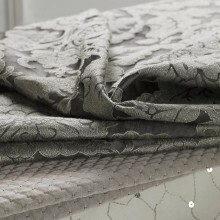 Showcasing a luxurious selection of textured satins, embroidered patterns and tactile woven fabrics, Mahala is a truly breathtaking collection. 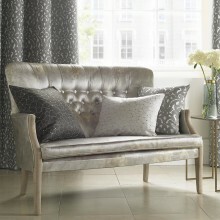 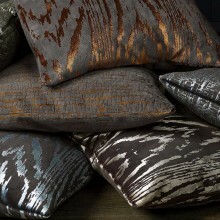 A stunning combination of innovative techniques and metallic tones create this opulent, glamorous range. 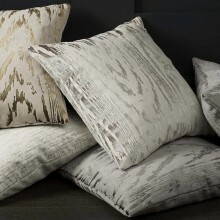 The contrasting matt and shiny yarns create depth and subtle shimmer, which complement the delicate embellished and woven designs. 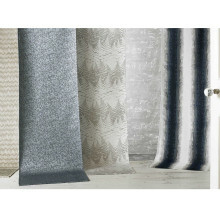 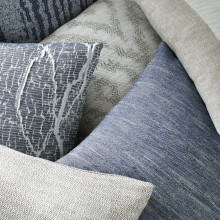 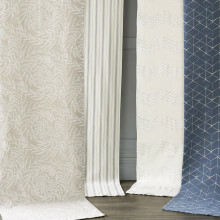 Available in four beautiful colourways, combine soft moonstone with platinum, mercury with shimmering silver, pearl with gold and indigo.Prices start from €49.00 per metre. 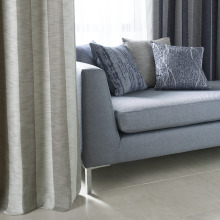 Genoa brings a fresh, exciting approach to design and displays eclectic design with trend-led colour schemes, making it a great addition to any interior. 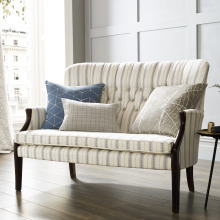 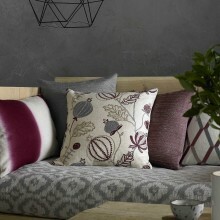 Combining beautiful weaves with sophisticated design, this delightful collection comprises 6 highly individual designs ranging from botanical imagery and contemporary motifs to chic tailored stripes and check co-ordinates. 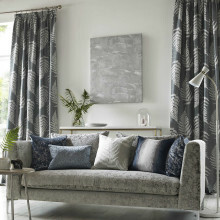 Flashes of neon colour inject fun and personality into this collection, while the textured weaves and embroidery add depth to this stunning range. 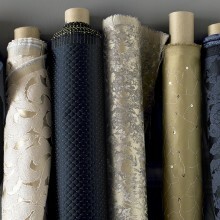 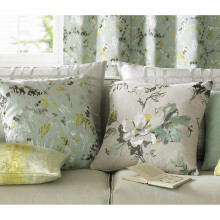 Colours span from pretty pearl, silver and linen to vibrant flamingo, electric blue and zest. 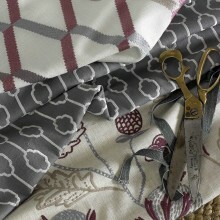 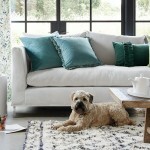 Prices start from €54.00 per metre.